The Seimas opposition parties – Homeland Union – Lithuanian Christian Democrats (TS-LKD), Liberal Movement (LRLS) and Lithuanian Social Democratic Party (LSDP) – have agreed on an opposition leader. 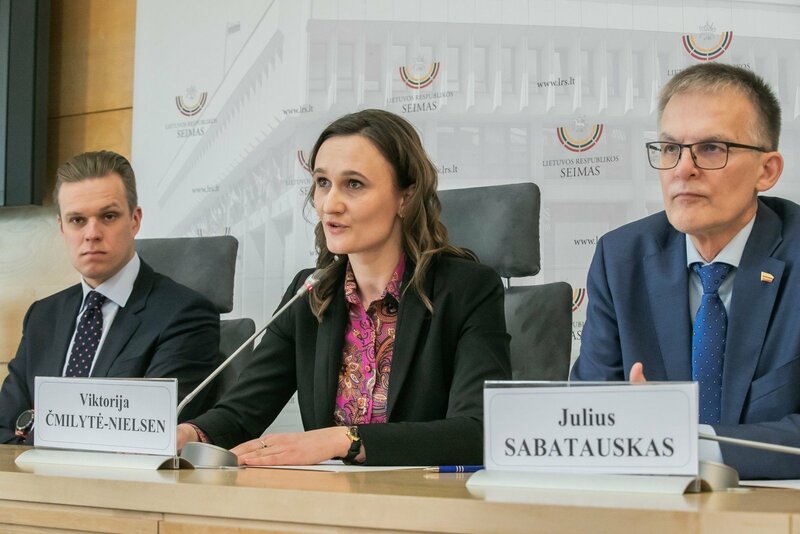 During a Friday press conference, the opposition parties declared that the post of opposition leader would go to the Liberal Movement Seimas group prefect Viktorija Čmilytė-Nielsen. The post of leader should be handed to the Social Democrats this autumn and to the Conservatives right before the Seimas elections. The press conference featured V. Čmilytė-Nielsen, TS-LKD group prefect Gabrielius Landsbergis and LSDP group prefect Julius Sabatauskas. They explained that the agreement arose from the desire to protect democracy. "In consideration of the Seimas majority systematically seeking to restrict the public and opposition's civil rights, abuse administrative resources granted by government, pressure the news media and independent institutions and also in order to obtain the opportunity to more effectively prevent ever more frequent initiatives that are harmful to democracy," the opposition groups explained the basis of the agreement. 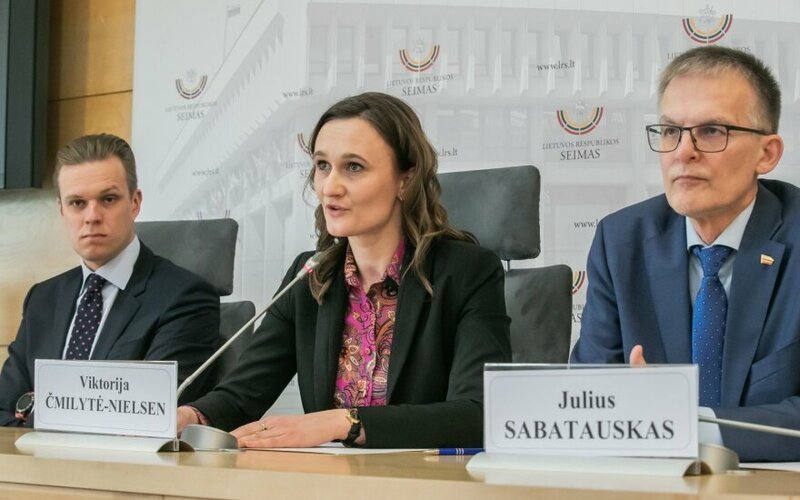 The opposition groups agreed to appoint Viktorija Čmilytė-Nielsen as opposition leader, rotating the office based on Seimas group size proportionality. The opposition groups will work, present legislative and other legal acts, will vote and offer alternative political ideas independently based on their own party programmes and values. The rotation will go as follows: the first regular parliamentary session (from the signing of the agreement to September 10, 2019), the office of opposition leader will go to the LRLS Seimas group prefect, for the second regular session (September 10, 2019 – March 10, 2020), for the third and fourth (March 10, 2020 to the end of the Seimas term) – the TS-LKD group prefect. Eugenijus Gentvilas' Liberal Movement has 12 seats in Seimas, Gintautas Paluckas' Social Democrats have 8, while Gabrielius Landsbergis' Conservatives – 32. After the municipal elections, Vitalijus Gailius will depart Seimas following his election as Joniškis mayor. Another liberal MP – Arūnas Gelūnas – will also withdraw, having won the competition to become the head of the Lithuanian Art Museum. Based on the Seimas Statute, if an opposition group or a coalition of opposition group hold more than half of opposition MP seats, the prefect of such a group or coalition is called the opposition leader. The opposition leader makes use of rights granted to their office and sit on the Seimas board.